Our youngest baby recently turned one, and I was having such a hard time coming up with gift ideas for her. You’d think I’d be a pro at this after five kids, but I quickly realized what my problem was. This poor baby, who came at the end, was getting all the “hand me down” toys from her older brothers and sister. So, did she really need any new toys for the up and coming toddler phase? Nope! But being that it was her birthday and Christmas was soon to follow, I wanted to find some fresh new things for her to play with—something she could call her own that was still in one piece and not glued or duct taped back together. It’s rough being the 5th child. So, after doing some research and making some simple purchases, here are some items that she loves to play with. Hopefully this article will benefit you, too. This is the cutest. I mean, what little crawler wouldn’t want to crawl through this cute little caterpillar? 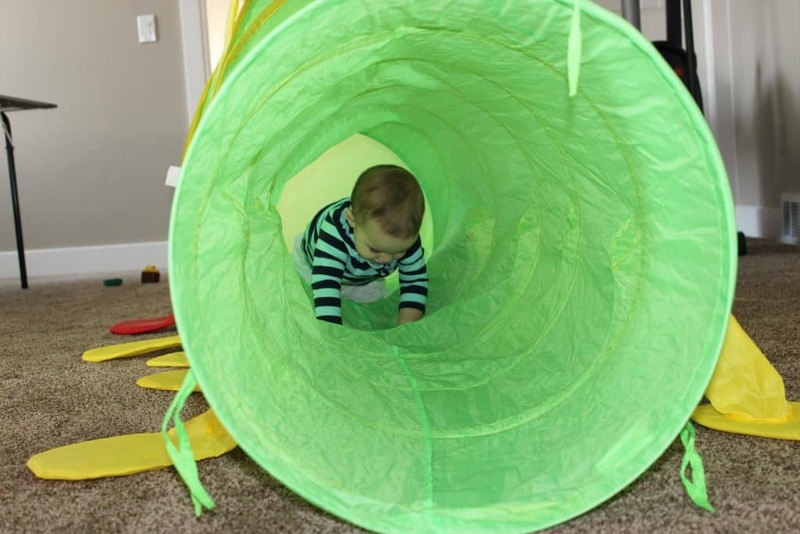 My little one LOVES this, especially when someone gets in the tent and plays peek-a-boo with her while she is in the tunnel. She loves to gather her toys and put them all in the tent. She can be entertained for quite a while, which is saying something for little Ms. Busy. What I love about this toy is that it easily folds up flat so you can store it when it isn’t in use. It’s very lightweight so you can take it outside or move it easily to another room. Because it’s so lightweight you do need to be careful when playing outside with it. Make sure it’s not a windy day or you will find yourself chasing after a caterpillar. Trust me! The tent and tunnel are separate pieces, so you can have just one piece out at a time if you want. When put together they do take up a good chunk of space, so it is not something I keep out all the time. I either keep one piece out for a while or set up the whole thing the for day. Then I put it up and get it out the next day. I did buy this for my toddler, but let’s be honest, I have found all my kids playing in it at one point or another. An alternative option for this tent is to buy some balls and turn the tent into a ball pit. For us, the less mess the better, so I opted not to buy balls. I’m extremely happy with this purchase and would recommend it for anyone with a busy toddler. I cannot express to you just how much I LOVE Magformers. Now the ad says age 6+ so you’re probably wondering why I would give my baby/toddler a toy not recommended for them. The toy itself is safe, with large pieces and a plastic wrapping around the magnets. Honestly, I think that age recommendation is because they give you a manual with fun designs you can make with this toy. Obviously, my baby can’t make these items, but she absolutely loves Magformers. If you aren’t already familiar with Magformers, let me tell you about them. 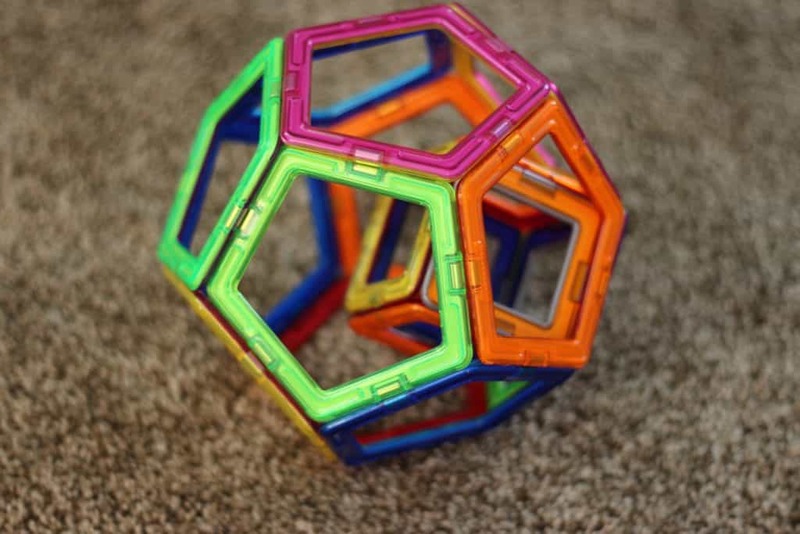 They are super strong, extremely well-made magnets and have different geometric shapes you can create. I bought these for her, but secretly I find myself playing with them all the time. The creations are limitless. The reason I love them for my baby/toddler is they keep her quiet and entertained. They are great for church, plane rides, or road trips. It’s fun to teach her about what items the Magformers can stick to. Her eyes light up when I make a creation for her and she can break it apart. There are many sets to choose from. 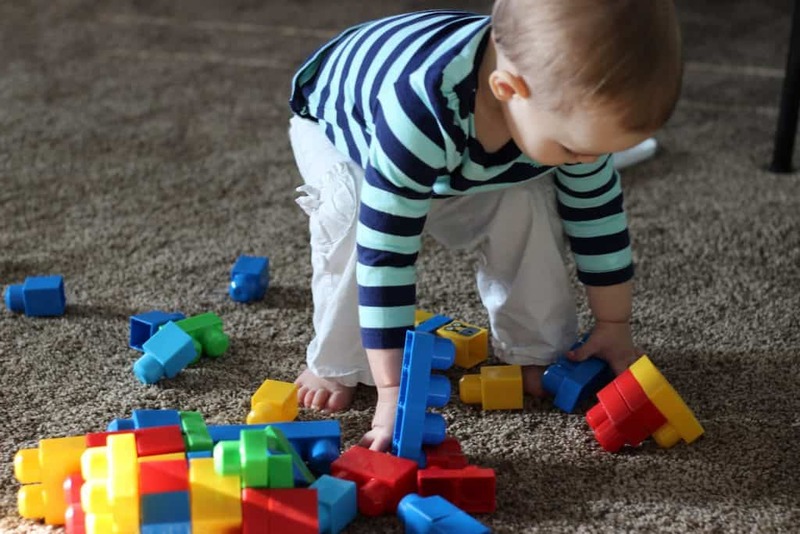 Some sets do have magnets with smaller pieces, so be prepared to set those pieces aside for your older kids, or yourselves, to avoid your little one choking on them. You may be thinking, “Holy Batman, why are these silly toys so expensive?” I like to think of them as an investment. They are extremely well made and will last the test of time. If you watch for them to go on sale you can find them for about $1 a piece, which is a great deal. Ultimately, Magformers are cheap and a toy that will get used by just about everyone in the family. What the heck is this?? Well, it’s just the cutest darn thing you ever did see! It’s a bouncy horse. At our house, we call it a burro. We gave this to our little one-year-old for Christmas, and to be honest, when we first gave it to her she was terrified and wouldn’t come near it. Then once she saw how much fun her 4-year-old brother was having with it, she gained the courage to try it out. Now, she loves it! It’s super easy to put together is nice. It comes with its own pump and takes 30-45 seconds to pump up. You just stick the plug in and start bouncing. 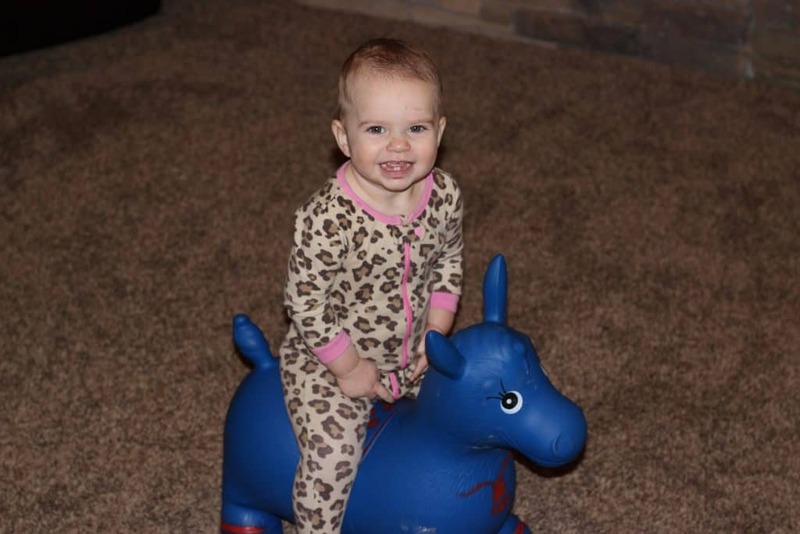 The horse has tall ears for the little ones to hold onto and sits low on the ground, so it’s easy for them to get on and off by themselves. If they happen to fall off it’s fun, rather than an injury. This toy is recommended for kids ages 1-3. I will say that I have caught my six-year-old bouncing around the kitchen on it, and it’s no worse for wear. So if you have a smaller kid who is a little older than the recommended age, I am sure it would hold up well. This is a great toy to help those little ones have an outlet for all that energy, and it is great in helping them to learn balancing skills. They have to learn to use their core to stay on and bounce. It’s made of a very durable rubber material. Some variations are covered in a microfiber material to make it seem more animal-like. There are also different animals you can choose from. The horse design seems to rate the best but we just went with whichever one was cheapest. Another great toy idea for a one-year-old is a little playhouse or farm. 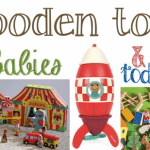 They encourage imaginative play and teach young eager minds about animals and families. The dollhouse is so cute! The front door opens and closes. There are a bunch of different fun sounds that you would normally hear around a house like an alarm clock and even a toilet. It also plays other sounds and music to help with your child’s imaginative play. The lights come on and off when you open the fridge and oven. Comes with Mom, Dad, and Emma figurines. It also comes with a dining table and 2 chairs. And what I love, since I hate messes, is that it can all tuck inside. Close it shut and be it can be carried and put away where it goes at the end of the day. This is a Little People set so you know you are getting good quality that will last. The farm set also fully closes and can be carried and stored away to help your space be mess free. WIN! It is also a Little People set, so again, great quality. This set includes a farmer, cow, goat, chicken, horse, sheep, and pig. This farm also has a fun farm songs it sings and there are animal sounds it plays, which is great for helping your little one learn their animals and sounds. The barn gates also open and close so you can get the animals in and out, which works on your little one’s fine motor skills. Mega Bloks are a great building set for one-year-olds. They are an off-brand of Legos but snap and fit like the original. They’re also large in size so they’re perfect for little hands. My little one is just learning how to hook and stack the pieces together. She’s not to the point where she can build a structure or tower, but she is learning and developing her fine motor skills, so parent win. On the other hand, my 4-year-old loves to build towers for her, and she’s a champ at knocking them down and laughing! 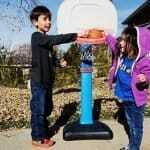 These two kids typically don’t play really well together, but this is something that they love doing. This set comes with 80 pieces as well as its own bag that zips. When you’re done playing, you already have something to store them in. 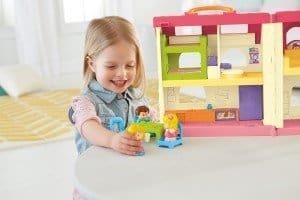 Overall, we like Mega Bloks because they’re affordable, easy-to-use, and come with storage. While the manufacturer lists this toy as ideal for ages one and up, our kids typically stop playing with these around age four. Have any ideas you’d like to share? 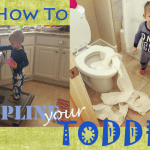 Be sure to leave us feedback with what toys your toddler loves. Like these gift ideas? 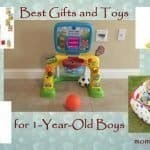 Also be sure to check out this list of 25 great gift ideas for 8 year old boys.